Memories of the bloody Antarctic industry which left whales on the brink of extinction. A personal account of the huge Antarctic industry which left whales on the brink of extinction. For centuries, whaling had been big business. Whale products were used in everything from lighting, to food and cosmetics. 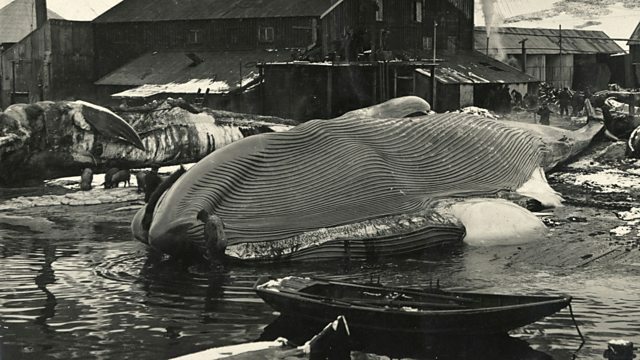 Hunting had decimated the whale population in the north Atlantic so in the early 20th century, Britain and Norway pioneered industrialised whaling in the Antarctic. Soon other nations joined in. At the time, there was little public concern about the morality of hunting whales and they were slaughtered at an astonishing rate. We hear from Gibbie Fraser, who worked on a whale catcher in the Antarctic in the 1950s and 60s, when the impact of decades of hunting finally brought an end to Britain's whaling industry.